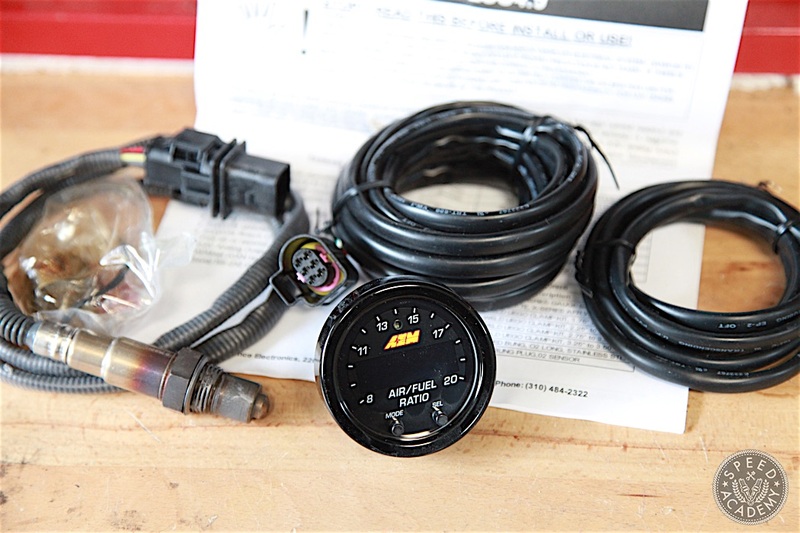 AEM Electronics announced the release of their new X-Series line of wideband air/fuel ratio sensor controllers a few months ago, including the bold claim that they are now the fastest responding wideband on the market based on independent testing against 17 other AFR controllers including all the names you’re likely familiar with. The faster response time is being attributed to AEM’s patent-pending X-Digital technology, which they’re understandably tight-lipped about, but apparently gives these new X-Series controllers the ability to read and report values that other controllers do not. 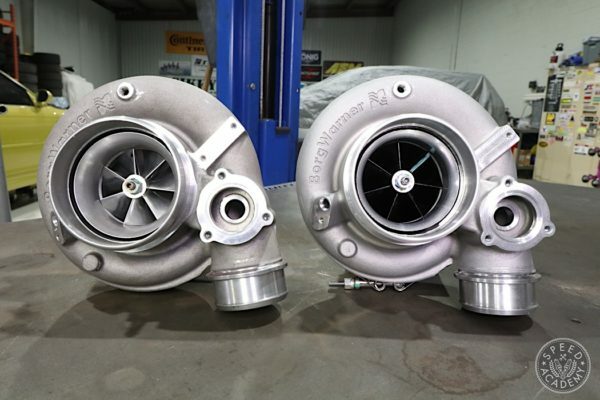 In the right hands this can lead to a more optimized engine tune and a safer running engine, since the controller’s high speed capabilities allows it to identify the slightest fluctuations in AFR and output them in full value. Sasha’s feedback convinced us that we needed to test the X-Series versus a few of the leading AFR controllers currently on the market to see for ourselves what sort of improvements AEM has achieved in response time. 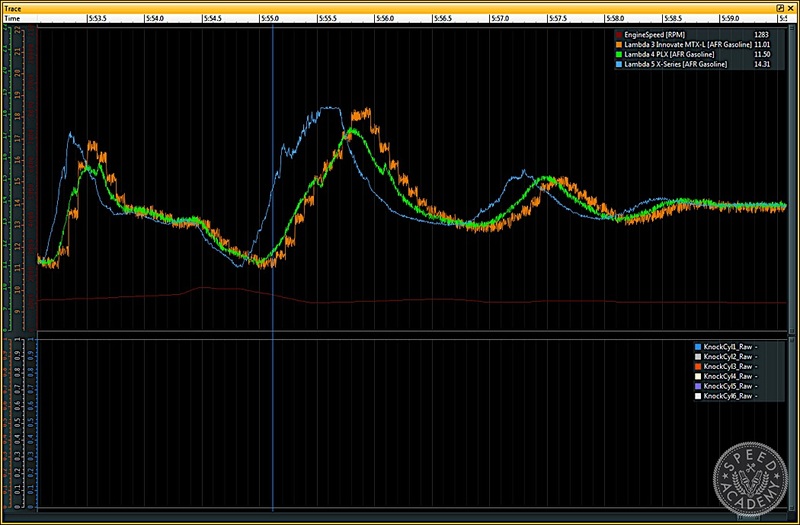 Before diving into the details of our test, it’s worth noting that when tuning an engine using a wideband AFR controller, deadtime effects the data you are looking at because it is reported in a different operating location than when it actually occurred. In other words, the air/fuel ratio you’re seeing on the controller display or in the tuning software is actually the ratio from a split second ago, so the longer the deadtime or delay there is in reporting that ratio, the more difficult it is to pinpoint where exactly in your fuel mapping you need to make adjustments to dial in the air/fuel mixture to your targeted ratio. On a stock, low stress engine this generally isn’t as critical since there’s a safety margin to work with, but if you’ve got an expensive, high compression or high-boost forced induction engine, both of which are sensitive to even small changes in air/fuel ratio, you definitely want the shortest deadtime and fastest response time possible if you’re truly trying to optimize performance and reliability. Ok, so on to our test results! 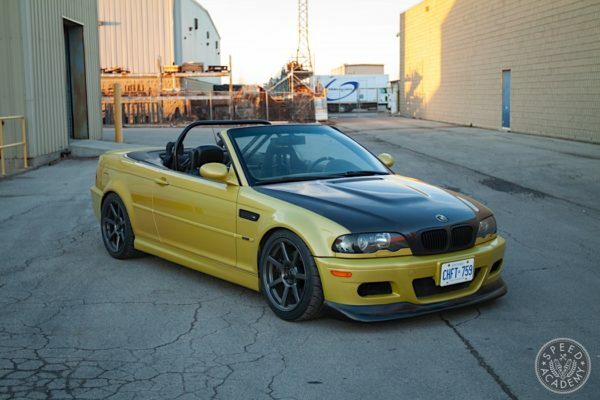 For testing we turned to another of our go-to tuning experts, Tony Szirka from UMS Tuning in Mesa, Arizona. 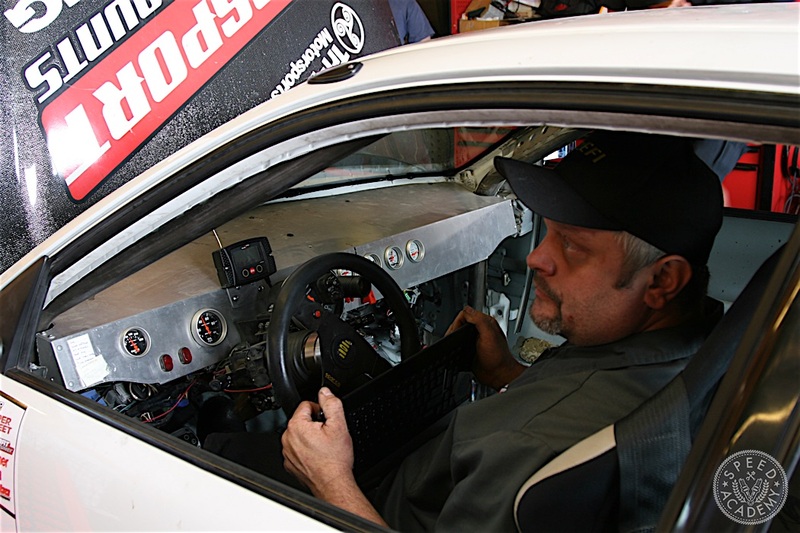 Tony recently tuned Pete’s Porsche 930 Turbo (which some of you got a sneak peek of during our Facebook Livestream of the event), and having seen him in action at all of the Modified Mag Tuner Shootout dyno tests we used to organized, we know Tony is a very experienced ECU tuner on some extremely high horsepower cars where a precise tune is a must. 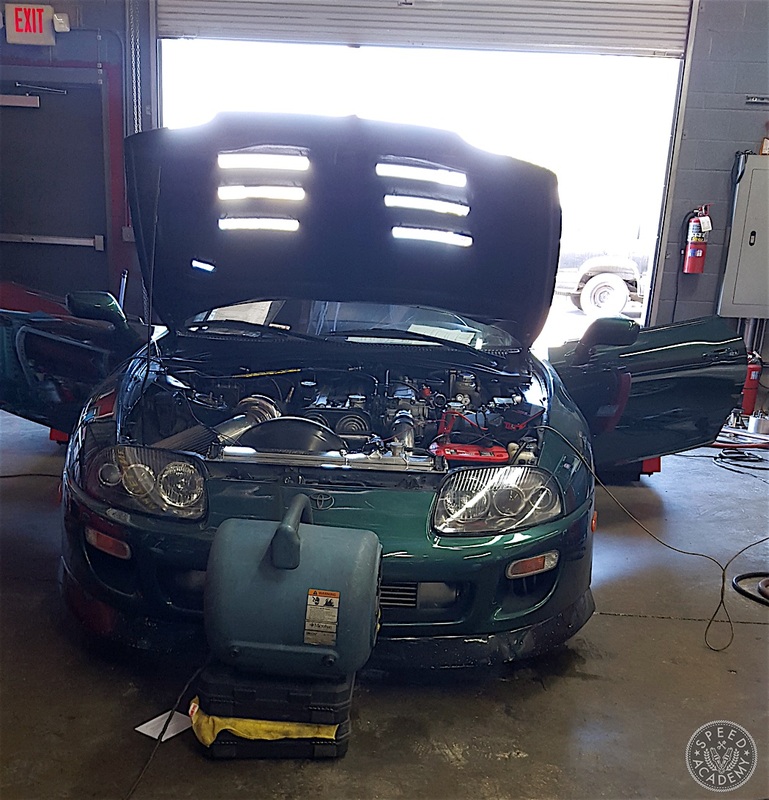 We shipped Tony an AEM Electronics X-Series AFR controller, which all your shop owners can quickly and affordably source from Turn14 Distribution, to test on a MkIV Toyota Supra Turbo making 750-whp. 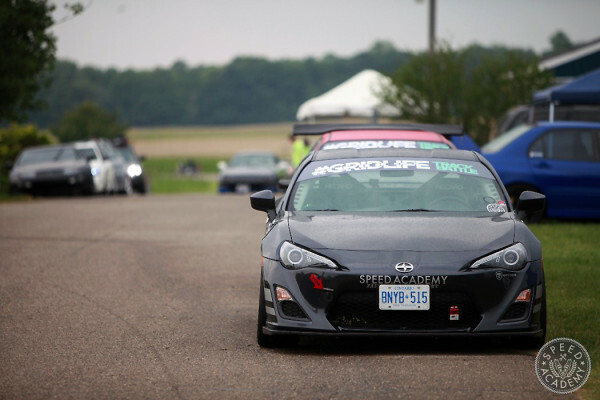 You know, because all Supras need to have at least 700-whp, right? 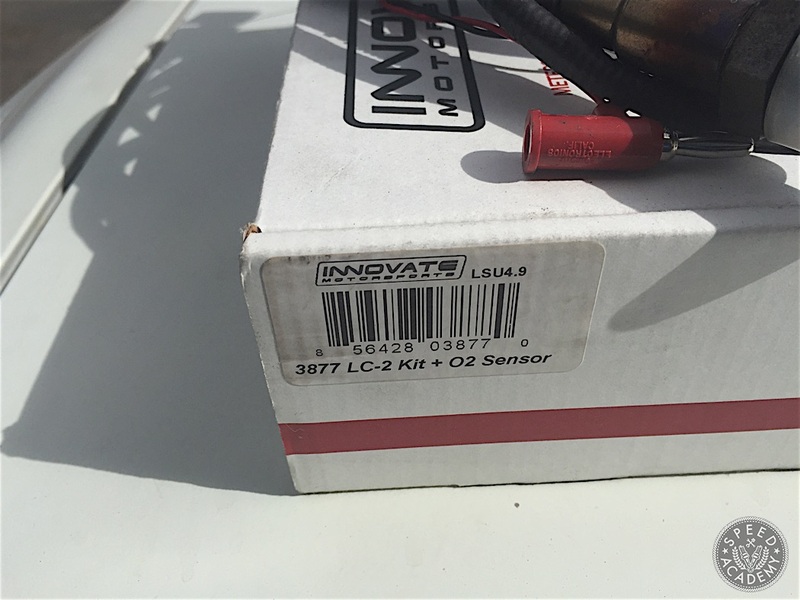 We also sent Tony a new Innovate LC-2 with a Bosch LSU 4.9 sensor and a new Gen4 PLX DM-6 + SM AFR wideband kit with a Bosch LSU 4.9 sensor so that he could install them all in series on the Supra and see how the compare in a direct data collection session on his in-house DynaPack hub dyno. Here’s what the data looked like after we spent some time going over it in AEMdata, AEM’s powerful data analysis software. Remember how Sasha told us there’s nothing steady state about stabbing the throttle? Where he’s proof of that. Above is a “throttle lift w cursor” trace, which shows a throttle lift resulting in a slight lean spike followed by a large rich spike. The X-Series is the only wideband to detect the slight lean spikes just before and after the the mixture goes rich where the verticle blue line is positioned. As you can see from this data, the X-series also gives us a clearer picture of the extent of the rich condition here, and even though the rich condition is only for a short timeframe, it may still cause a puff of black smoke out the tailpipe, which would be the only indication there was a tuning issue if a slower wideband was used. 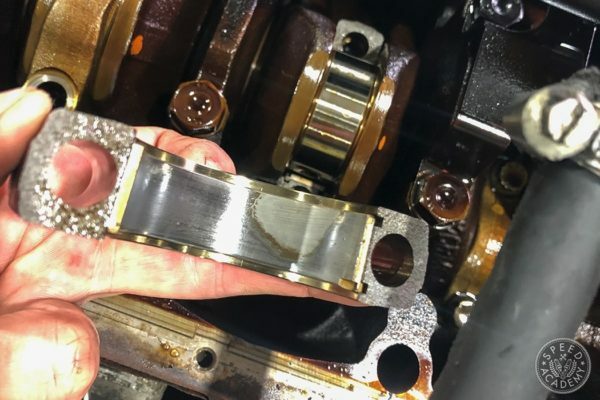 This type of rich moment in the tune can translate to poor driveability, where the car hesitates or jerk when you lift the throttle, plus it can lead to reduced fuel economy and could eventually plug a catalytic converter among other potential downsides. Next we have the “large AFR gap w cursor” trace, which shows the X-Series responding 0.3-0.4 seconds faster than the other widebands. In the tuning world, this is an eternity. 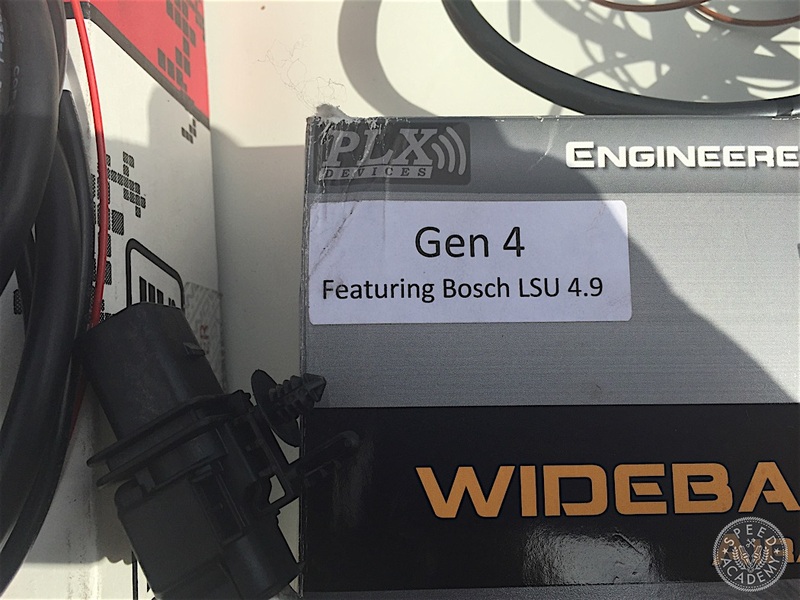 As we explained earlier, a faster response time from the wideband can help the tuner dial in the acceleration enrichment during rapid throttle or RPM changes, so the X-series is really looking like a clear winner from that perspective. It’s also worth noting that during high RPM action, and we are nothing if not high RPM addicts here at Speed Academy, a significant downside to a slower responding wideband is the fact that the air/fuel ratio being displayed on a slower reading gauge is going to be showing you a safe ratio when in fact the AFR could be dangerous lean just before you hit the rev limiter. There’s a lot of combustion events happening at 9,000 RPM like we rev our AP1 S2000 to, so the last thing we want to do is risk a lean AFR up top by taking our readings off a slower responding wideband. 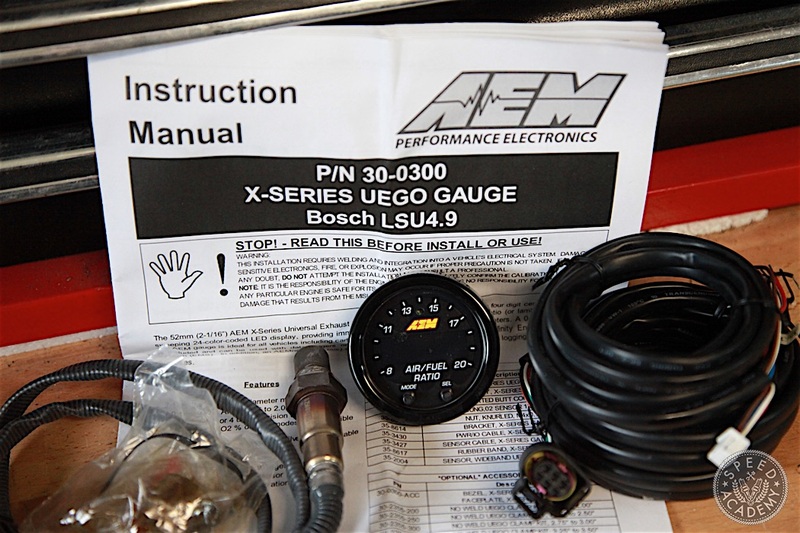 One other observation Tony offered regarding the AEM X-series wideband’s performance relative to the other two kits is that the X-series signal produces very clean and useable data, offering the fastest response but also the least amount of “noise” on the signal (which can hinder an ECU’s ability to perform fast and accurate fuel trim adjustments). 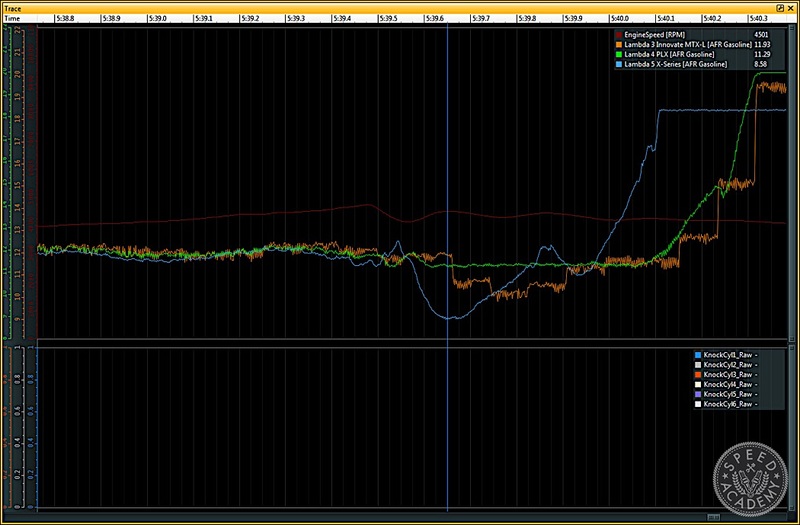 At the cursor in the image above, there is a difference of over 3 AFR numbers between wideband readings. So, if you were using closed loop feedback and targeting an AFR of 14:1 in this condition, the X-Series would tell your standalone ECU that you are close to the ideal AFR where the other controllers would be indicating a rich state, causing the ECU to trim out fuel. Then, as these controllers’ signals ‘catch up’ to the actual AFR value your engine would actually be lean due the fuel reduction from the closed loop control. 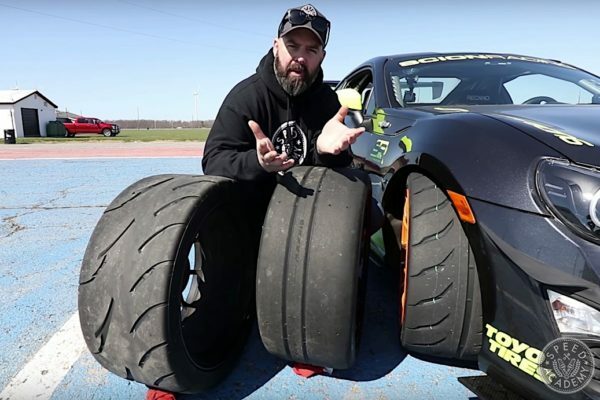 So that wraps up our wideband AFR Controller Shootout, and we think the data collected by Tony at UMS Tuning strongly supports AEM’s claims that the X-series is now the fastest responding wideband kit on the market today. We’ll certainly be transitioning our cars over to the X-series, since a more accurate and more reliable tune is a big part of the racing game if you want to stay at the front of the pack. 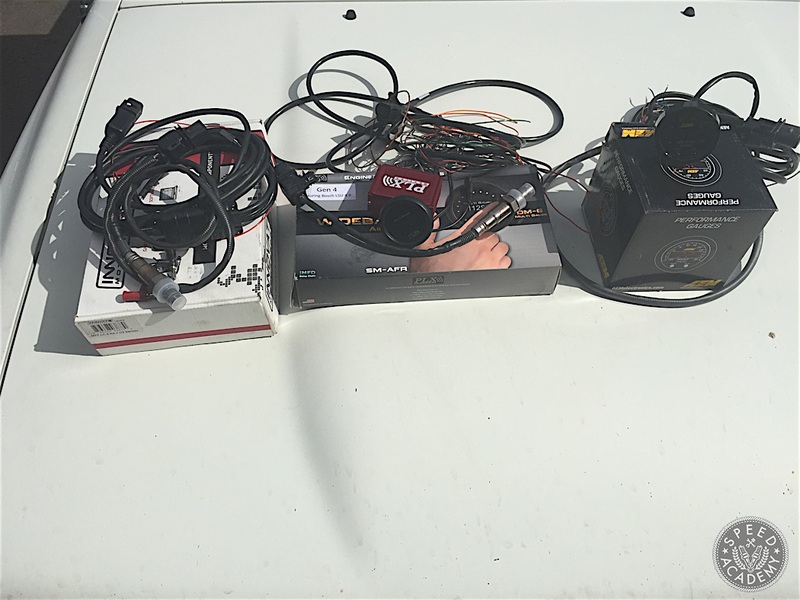 We have tuning sessions coming up soon with our Jenvey ITB’d S2000 and Pete’s S14, so we’ll follow up here with further input on the X-series performance once our local tuner Sasha from OnPoint gets a chance to play around with one. Thanks for the nice article backed up with clear visualizations. Now the AEM Infinity needs to have this controller built in. If I am not mistaken, the Infinity only supports LSU 4.2 sensors currently.